We continue to mop up the IFA news with this interesting development from Vodafone Germany, which revealed two Vodafone-branded Android tablets at the IFA tech event this week – the Vodafone Smart Tab 7 and Smart Tab 10. And the question we always ask at this point is… Huawei or ZTE? Or who else makes 1.2GHZ Qualcomm Honeycomb tablets? 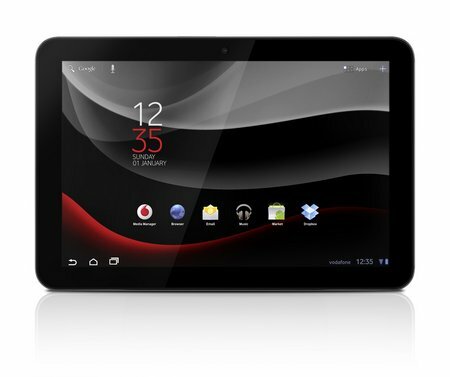 We’ll ask the poor Vodafone UK man for a comment on the likelihood of the Smart Tabs launching in the UK. We’ve found an English press release. But it still only references a German launch for both tablets at the moment. This tablet has already launched in the U.K, france, germany, romania, hungary and is even launching in the U.S.
It’s a great product that doesn’t receive even a fragment of the attention it deserves.